The team behind a busy Bury St Edmunds letting agency, who are more used to helping their clients move to a new home, are celebrating a move of their own. GD Estates Ltd invited Borough Mayor Councillor Margaret Marks to officially open their new office in The Traverse after moving from Guildhall Street. The company, which was established 11 years ago, has taken on bigger premises to cope with its own growth. It has moved from a single, open plan office to the three-storey building, previously occupied by Dapper Fox menswear. The new premises offers meeting and interview rooms for client privacy. Lettings Director Tracey Nunn said: “My brother, who is the Managing Director, and I started this business in our own home so to move into this building, with a team of five other staff and in the heart of the town centre, is a wonderful achievement. We were delighted to welcome the Mayor on our first full day of opening and to have her cut the ribbon. 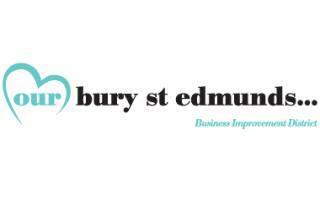 The move to larger premises means the company now becomes a fully-fledged member of the Business Improvement District (BID) Our Bury St Edmunds. It had previously been a voluntary member. GD Estates Ltd can be found at 14 The Traverse. Opening hours are 9.00am to 5.00pm Monday to Friday and 9.00am to 1.00pm on Saturdays. We specialise in providing you with quality, professional mortgage and protection advice that you can trust. INET3 are a well-established Property Underwriting Agency, providing Property Insurance solutions.